SOAK several wooden skewers in water. MIX together all the ingredients apart from the oil, tomatoes and zucchini in a large bowl and shape with your hands into walnut-sized balls. 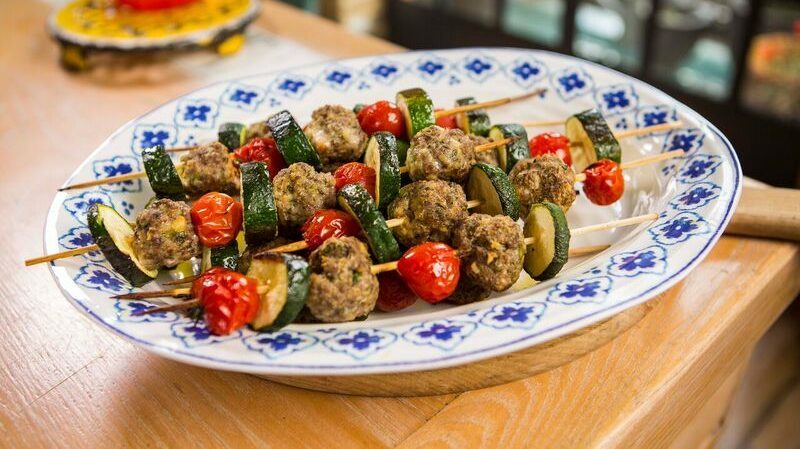 THREAD the skewers by adding a meatball followed with a piece of zucchini and then a tomato, repeating until the skewer is full and with 3cm either end to handle. PLACE the prepared skewer on a baking tray. Repeat the process until all meatballs are used. DRIZZLE with a little olive oil and seasoning.